Epigenetics is the study of changes in gene expression that are not coded within DNA. Therefore, epigenetics is a change in phenotype without a change in genotype. Epigenetic changes are a regular and natural occurrence that can be influenced by numerous factors including age and environment. Modulation of gene expression occurs through various processes including chromatin remodeling, DNA methylation, and histone modification. DNA expression is regulated by acetylation and de-acetylation. Histone deacetylases (HDACs) are enzymes that have crucial roles in many biological processes, largely through repressing transcription. 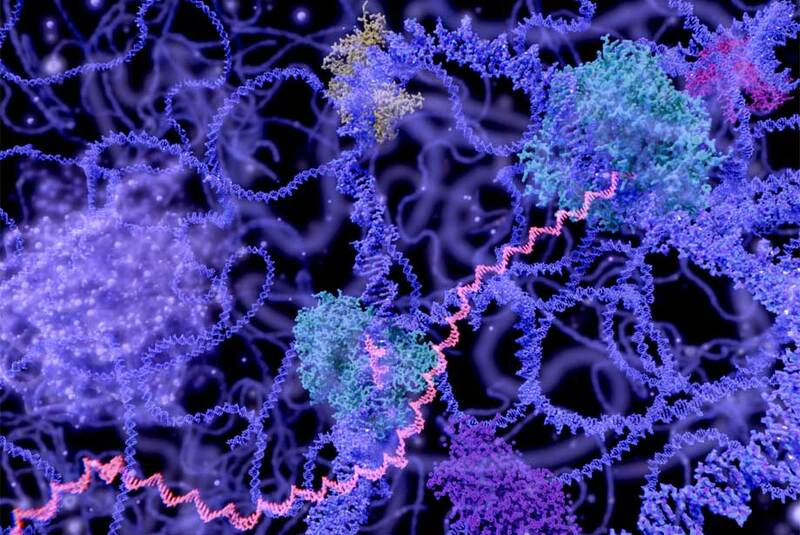 An increasing number of diseases have been linked to epigenetic dysregulation including cancer and Alzheimer’s disease. However, little is known about the expression, specificity, and function of HDACs. For the first time, researchers have used modified positron emission tomography (PET) neuroimaging to study epigenetic regulation of gene expression in the human brain. An imaging probe was linked to a subset of HDACs and activity was monitored to identify where brain gene expression was switched off. Conserved regions of HDAC expression were observed, suggesting tightly regulated epigenetic processes. The study identified HDAC expression levels that are higher in cortical gray matter than white matter and that expression was lowest in the hippocampus and amygdala. Additional experiments suggest a link between HDACs and genes closely implicated in synaptic plasticity, cognitive function and neurodegeneration. Future research will compare HDAC activity in healthy brains to those affected by Alzheimer’s disease, schizophrenia and other disorders. Additionally, the impact of the aging process on HDAC activity remains poorly understood and requires further study. Can aging-related dysfunction be related to acetylation imbalance through HDAC activity? Now that HDAC activity can be monitored, the next step will be to identify potential HDAC therapeutic targets and their application for treatment of neurological disorders. Enzo Life Sciences provides a wide variety of products for your Epigenetics research needs. We provide a complete toolbox for Epigenetics research from isolation, modification through to detection. The SCREEN-WELL® Epigenetics library is a curated set of compounds with defined activity against epigenetic modulating enzymes. It is a convenient tool for use with HDAC & Sirtuin drug discovery kits.